It is increasingly common to see service animals in places of public accommodation, on public transit, and even in the workplace. However, the rising trend of animals in the workplace has given rise to potential conflicts and liability risks for employers. Employers need to be especially cognizant of their duty, under the Americans with Disabilities Act of 1990, as amended (the "ADA"), to provide reasonable accommodation—which may possibly include allowances of service animals in the workplace for workers with disabilities. Notably, because an employer’s obligation is to provide reasonable accommodation, service and emotional support animals may be prohibited from entering the workplace if the animal poses an undue hardship or direct threat to the workplace. Further, in instances where it is not readily apparent that an animal is a service animal, employers may request documentation to establish how use of the animal provides an accommodation to an employee’s disability. In addition to considerations related to disabled employees, employers must be cognizant of their increased liability and obligations to others when allowing animals in the workplace. An outright refusal to grant an employee a request for reasonable accommodation could subject an employer to an ADA complaint through the Equal Employment Opportunity Commission or state-level administrative counterparts. However, forcing other employees to share workspaces with animals could result in safety issue or even lawsuits from employees suffering from pet allergies. Employers that lease company property should also review their lease agreement to confirm whether there is a risk of violation by allowing animals on the property. Employers seeking to allow service animals onsite may consider a few different options. Separate animal-friendly and animal-free workspaces could mitigate the risk of allergy problems. Adopting strict on-leash rules may prevent other employees or third-parties from any injuries the animals may inflict. Finally, limiting the days that animals can come to work could strike a balance between employees advocating for pet-friendly and pet-free work environments. 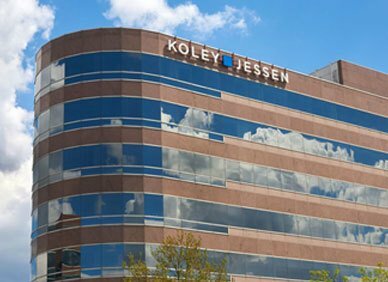 If you have questions regarding accommodations for disabled employees, please contact a member of Koley Jessen’s Employment, Labor & Benefits Practice Group.